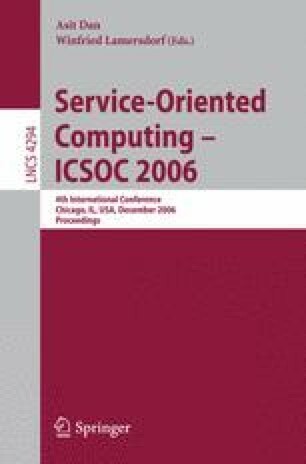 Service oriented computing is an emerging paradigm for designing distributed applications where service and composition are the main concepts it is based upon. In this paper we propose SOCK, a three-layered calculus equipped with a formal semantics, for addressing all the basic mechanisms of service communication and composition. The main contribute of our work is the development of a formal framework where the service design is decomposed into three fundamental parts: the behaviour, the declaration and the composition where each part can be designed independently of the other ones.